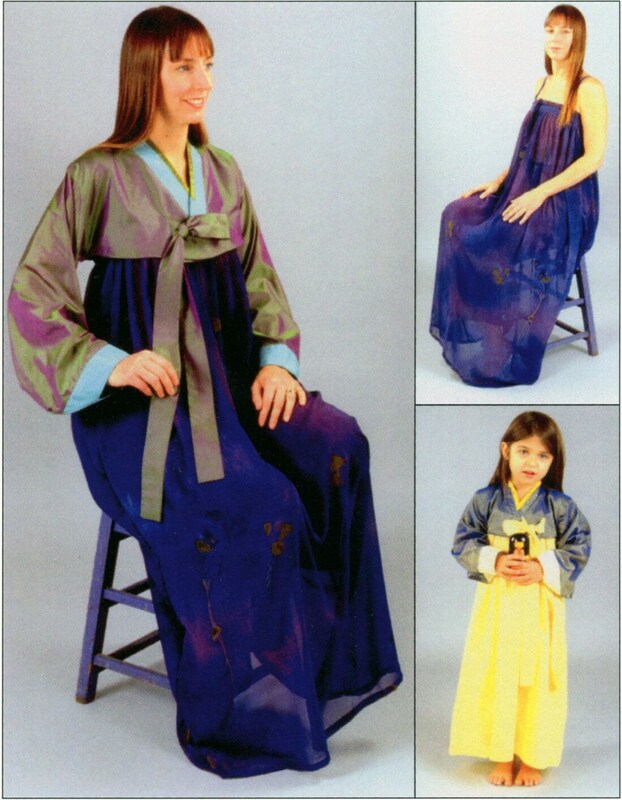 The traditional costume of Korea, the han-bok, is composed of two garments: the chogori or short jacket and the chima or full dress. This flowing style is very feminine for both women and girls. The wrap dress drapes gracefully and the jacket's ribbon-accented V-neck draws attention to a pretty face. 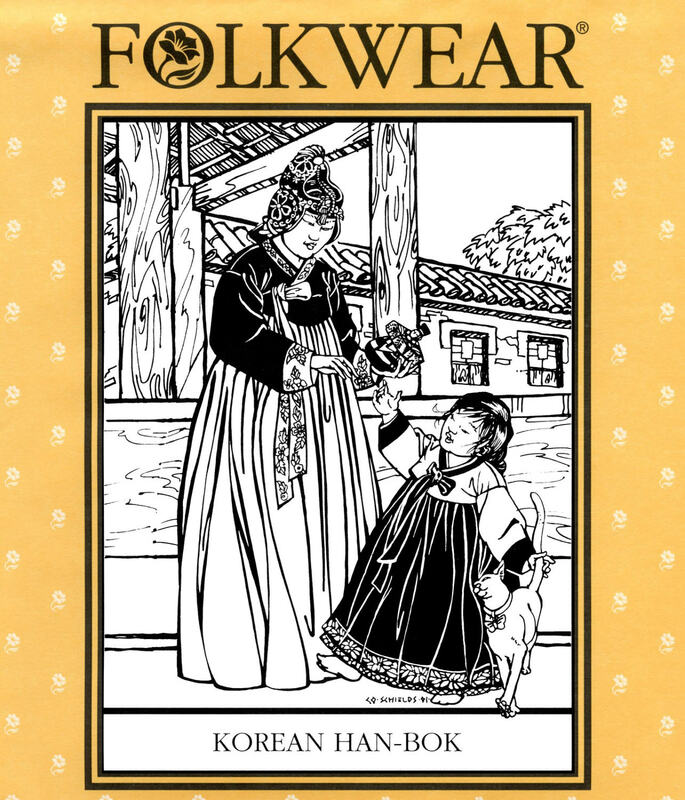 Wear the han-bok in the traditional way, or the dress alone as a summer sundress, or the jacket as an art-to-wear companion to a simple dress or tunic. 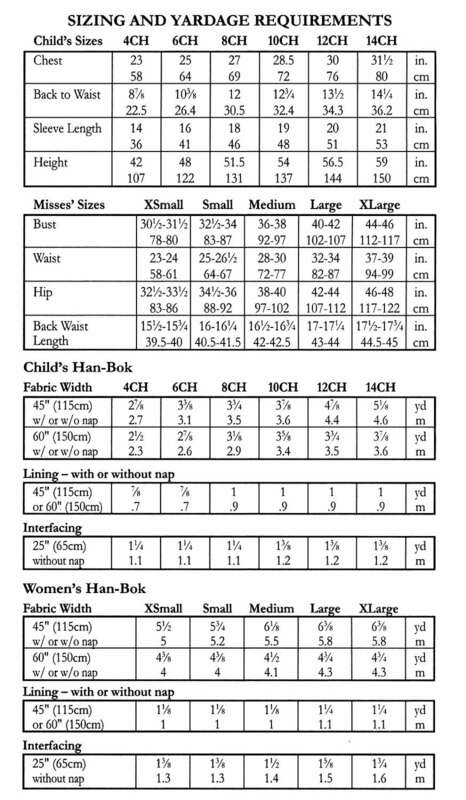 The simple-sew dress is pleated to a band above the bust, wraps in back, and ties in front. The jacket is an enchantingly different garment, with elegantly shaped sleeves, wide cuff bands, and narrow ribbon trim along the neckline. 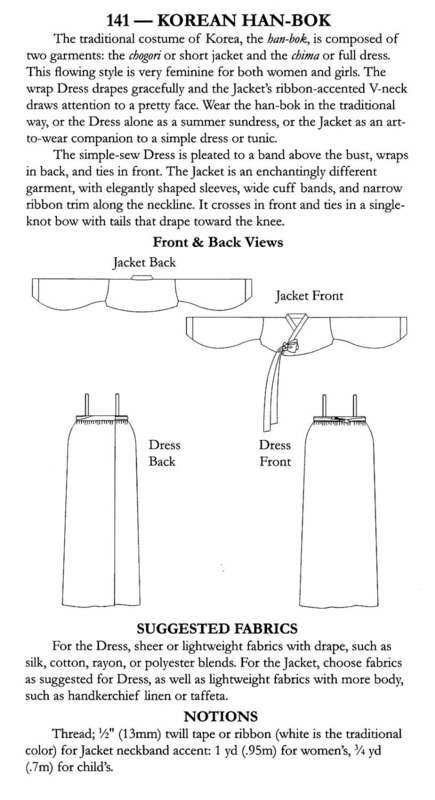 It crosses in front and ties in a single-knot bow with tails that drape toward the knee.